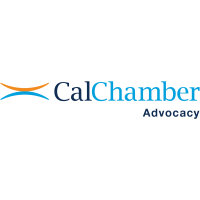 The California Chamber of Commerce today announced the second job killer of 2019 — SB 1 (Atkins; D-San Diego). The bill would give broad and sweeping discretion to state agencies to adopt rules and regulations that they determine are more stringent than federal rules and regulations adopted after January 19, 2017. According to CalChamber, SB 1 (Atkins) is a job killer because the uncertainty created by the bill’s vague, ambiguous, and broad language and lack of due process in the rulemaking process would negatively impact the growth, employment, and investment decisions of almost every major California business. Due to costs and anticipated litigation associated with SB 1 (Atkins), companies doing business in the state would be hard pressed to hire more workers or expand California operations. The proposal seeks to create an expedited administrative procedure not subject to the California Administrative Procedure Act when promulgating emergency rules pursuant to SB 1. Should the measure become law, it will likely instigate a wave of new litigation from interested parties wishing to compel a state agency to perform an act required by, or to review a state agency’s action for compliance with, any of the laws subject to SB 1. Businesses would inevitably be forced to intervene in these lawsuits in order to ensure that their interests are adequately represented.